Sunherald.com, a news website for the Biloxi-Gulfport and Southern Mississipi area, recently took note of a book published by Earnest Hooks Jr., “Let’s Go See Mother Wilkerson’s Farm: Adventures in Learning Excellence,” that features the art of Lizzie Wilkerson and educates children and adults on early 20th century farming culture. 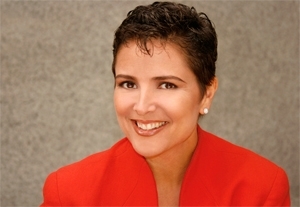 The article also makes note that Hooks leads introductions to the Landmark Forum offered by Landmark Education. Designed for children and adults who are unfamiliar with early 20th century farming culture, “Let’s Go See Mother Wilkerson’s Farm: Adventures in Learning Excellence” (published by AuthorHouse — http://www.authorhouse.com) is the new book from Earnest Hooks Jr. and the Lizzie Wilkerson Foundation that brings to life a forgotten yet important historical era. 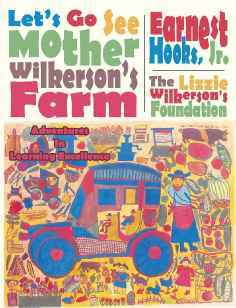 “Let’s Go See Mother Wilkerson’s Farm” takes readers on adventures designed to enrich early learning and growth experiences. “The intent is to expand the learning experiences and create a passion to sustain the desire for learning that will extend into a lifetime productive experience,” explains Hooks. Her artwork hangs in some of the most prestigious museums in the United States, including the Museum of American Folk Art in New York, N.Y., the National Museum of American Folk Art at the Smithsonian Institution in Washington, D.C., and the High Museum of Art in Atlanta, Ga. In this new book, Wilkerson’s artwork fills readers with excitement as they discover a vibrant, productive culture from a century ago. In the upcoming second volume of “Let’s Go See Mother Wilkerson’s Farm,” the adventures continue. Volume 2 will feature five more adventures: “Enterprise” exposes readers to the “classic model” for enterprise and the Golden Seven Values; “Your Winning Future” features a picture album of young, successful, inspiring achievers; “Self-Expression Adventure” uses poetry to help readers manage life learning and growth challenges; “World Travel Adventure” introduces learners to the exciting world of geography; and “The Platinum Growth Adventure” encourages readers to read books from a reading list, to eat more fruits and vegetables, to visit a farm and to write an essay for class reading. Also included are farm locations in the metro Atlanta area for future visits and study. Earnest Hooks Jr. is a native of Atlanta, where he met Lizzie Wilkerson as a young child. He attended Howard University’s School of Architecture and Harvard’s GSD Professional Development Program. A registered architect and certified building biologist, Hooks has served as a mentor for local children for several years and is an Introduction Leader for Landmark Education, Inc. He considers writing to be his second passion to architecture and design. For more information, visit http://www.wilkersonbooks.com.